Everyone has a passion, whether it be a hobby, a sports team or something else. For some, passions become a huge part of their lives, and that’s what happened for these three teachers. All three teachers are advisors of various clubs at Libertyville High School; however, their passions have spread far beyond LHS. Ms. Lara has been actively supporting gender equality since she was in college. 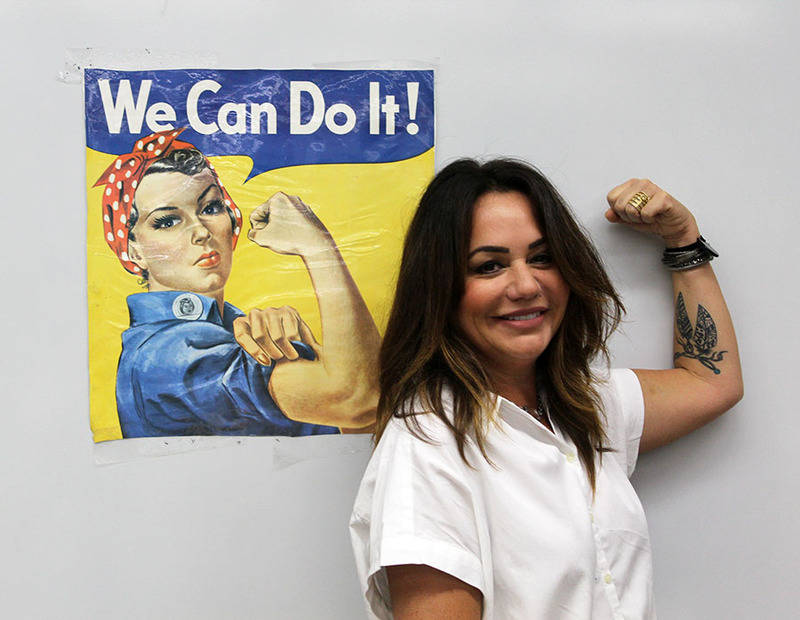 When she was presented with the opportunity to advise Advocats, a gender-equality club at LHS, she realized she could use her passion to lead the club, so she accepted the role. Ms. Andrea Lara, who currently teaches AP and Honors U.S. History, is the advisor of Advocats, a club focused on gender equality. Ms. Lara became involved with Advocats during its inception just four years ago. Julia Thurau, an LHS alumna, created a pitch for a club focused on gender equality and presented it to Mrs. Jennifer Uliks during her sophomore year of high school. Ms. Lara was able to see the pitch, which was “so well thought out and something [she] already believe[s] in and incorporate[s] into [her] daily life and curriculum,” so she signed on as advisor and has been with the club since. Prior to her involvement with Advocats, Ms. Lara was passionate about the subject of gender equality. “I grew up thinking, ‘Of course the genders are equal, why would they not be?’ As I grew older and realized that this wasn’t the case, I felt passionate about it. As a woman I am passionate about it. As a mother of a daughter, I am passionate about it, and as the mother of a son too. It seems to be a no-brainer to me,” Ms. Lara said. In addition to her work with Advocats, Ms. Lara lives a life promoting gender equality, as it is something very important to her. “I think people should care about all sorts of equality. If we purposely keep one group or another oppressed on purpose, then I am wondering if we truly are a democracy. It’s a matter of all equality, not just gender,” she said. After Ms. Naslund’s encounter with a negative letter about a gay student, she became very passionate about fighting for the rights and equality of the LGBTQ+ community. She takes pride in her club, Gay-Straight Alliance, and is also an activist outside of school. In the year 2000, Ms. Dyan Naslund, American lit and College Preparatory Writing teacher, was the advisor of the school newspaper, Drops of Ink. The staff had elected to write and publish an article about what it was like to be in the closet, where they anonymously featured a student who was gay but not “out.” After the release of this issue, a letter to the editor was written back to the magazine from a P.E. teacher. This letter condemned being gay, calling it sinful and wrong. Immediately after this letter was published in the following issue, students and faculty sent in their support. A student by the name of Danny Sweeney sought out Ms. Naslund, telling her, “We need a Gay-Straight Alliance at this school.” Ms. Naslund willingly agreed and became the advisor, a role she still holds today. Since the creation of GSA at Libertyville, gay rights have become a passion for Ms. Naslund. “One of the top priorities for me, as a person, is to be the best ally that I can be of LGBTQ people because they have been such a marginalized group. They have had to fight for rights that should come so easily, in a way that others take for granted,” she said. 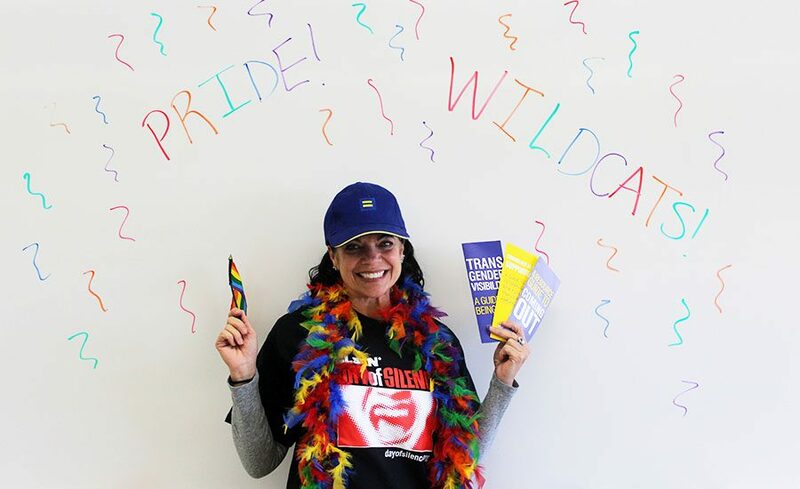 In addition to being the faculty adviser of the Gay-Straight Alliance at LHS, Ms. Naslund volunteers for the Human Rights Campaign, has attended every Chicago Pride Parade for the last 10 years and even incorporates LGBTQ material into her classroom. 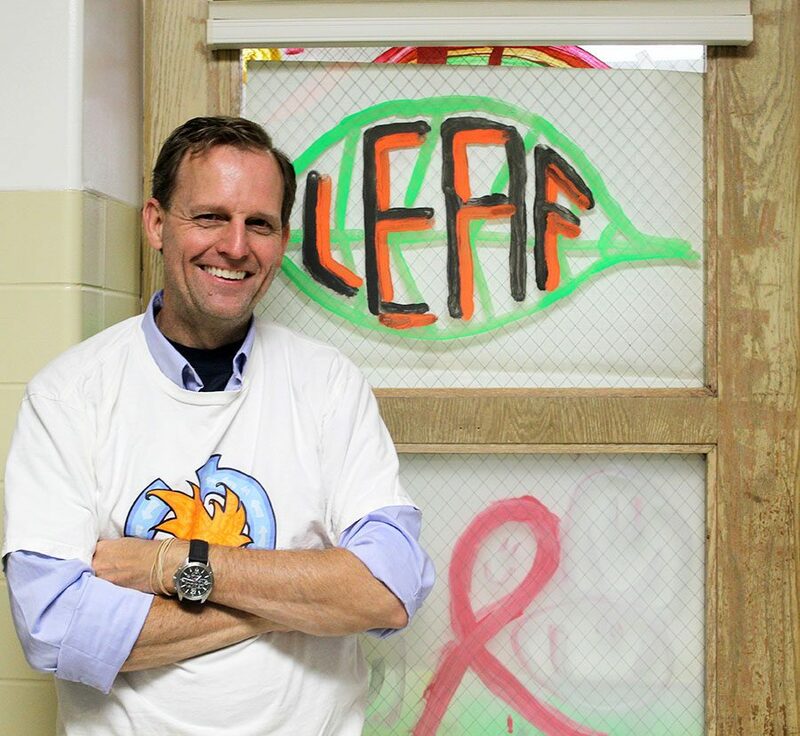 Mr. Lapish has been advising LEAF for a little over half of his teaching career. He makes a conscious effort to recycle inside and outside of school because he is passionate about a safe and healthy environment for all humans to live in. Even after 12 years of being the advisor of LEAF (the Libertyville Environmental Action Force), Mr. Dave Lapish, freshman lit honors and AP English language teacher, is still a part of the group. After the old sponsor, Ms. Karen Gibbs, retired, Mr. Lapish took over. “I’ve always been environmentally conscious; I love nature. I’ve always been a recycling nerd, after recycling became a ‘thing’ in our culture. It was pretty easy for me to say, ‘Yes, that is something we should do,’ and when I decided to give up coaching tennis because it was taking too much time, I already had LEAF in mind,” he said. In addition to recycling and caring for the environment on Mondays, Mr. Lapish lives a life dedicated to the well-being of the planet. According to Mr. Lapish, the environment is a universal cause that everyone should support.